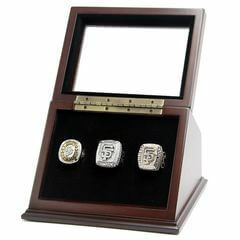 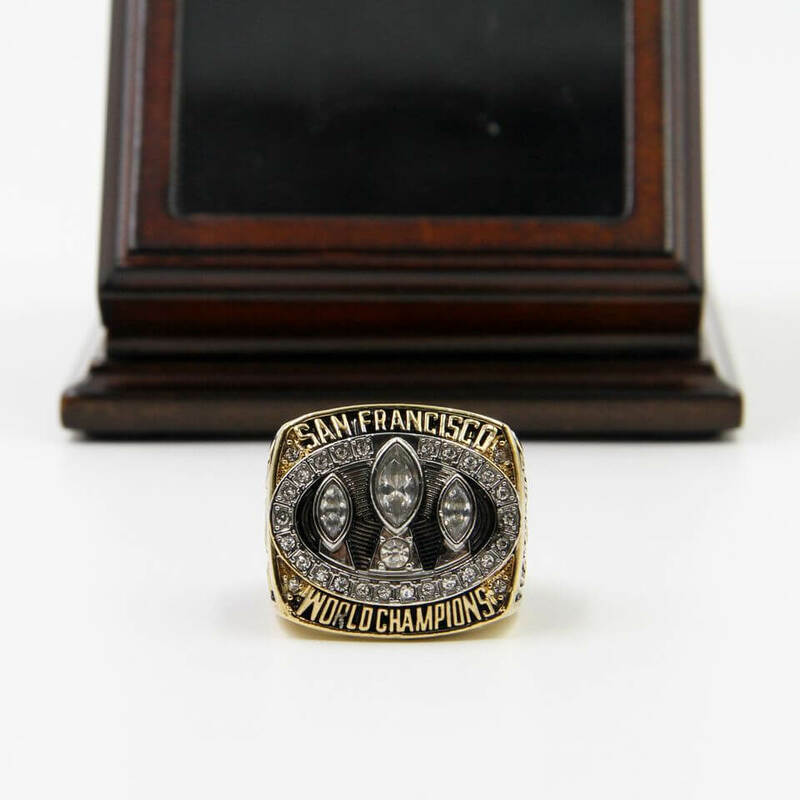 For most of the San Francisco 49Ers fans, the NFL 1988 Super Bowl XXIII San Francisco 49Ers Championship Replica Fan Ring with Wooden Display Case would be a unique and a great gift to your friends and families, it is a truly one of a kind item that would stand out in any San Francisco 49Ers football collection. 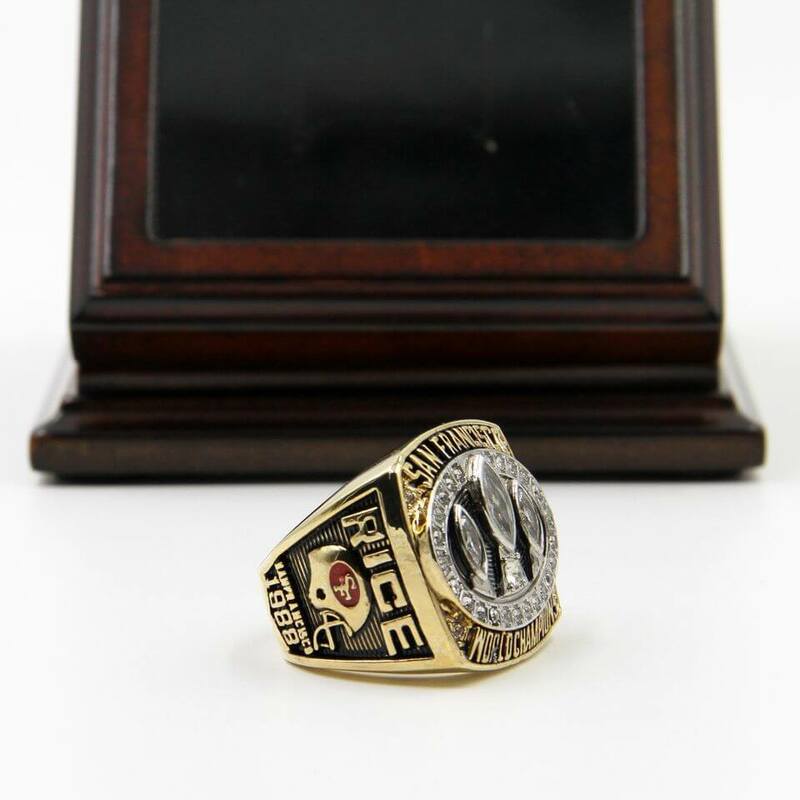 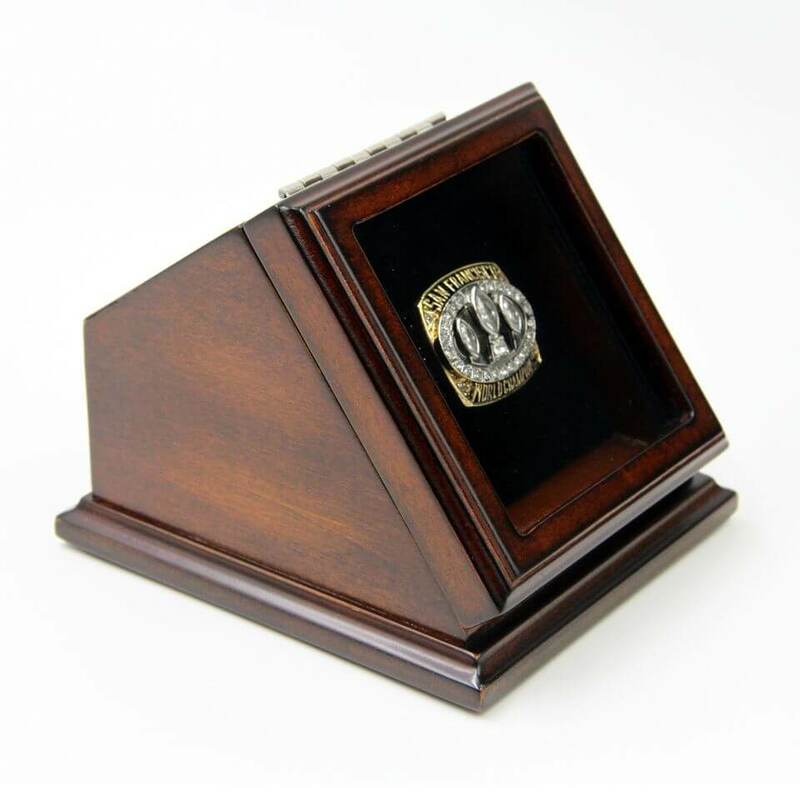 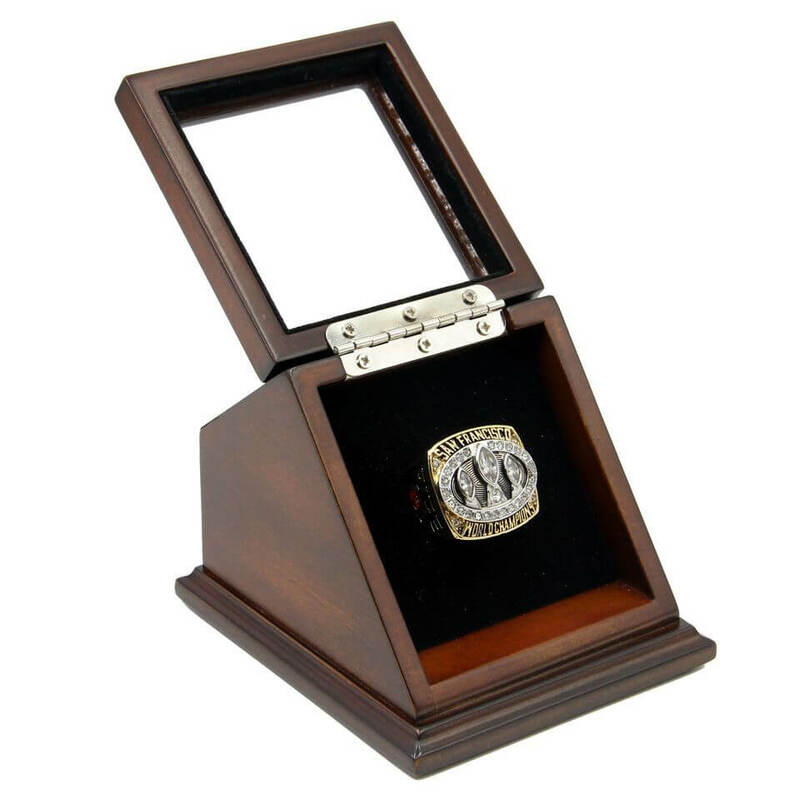 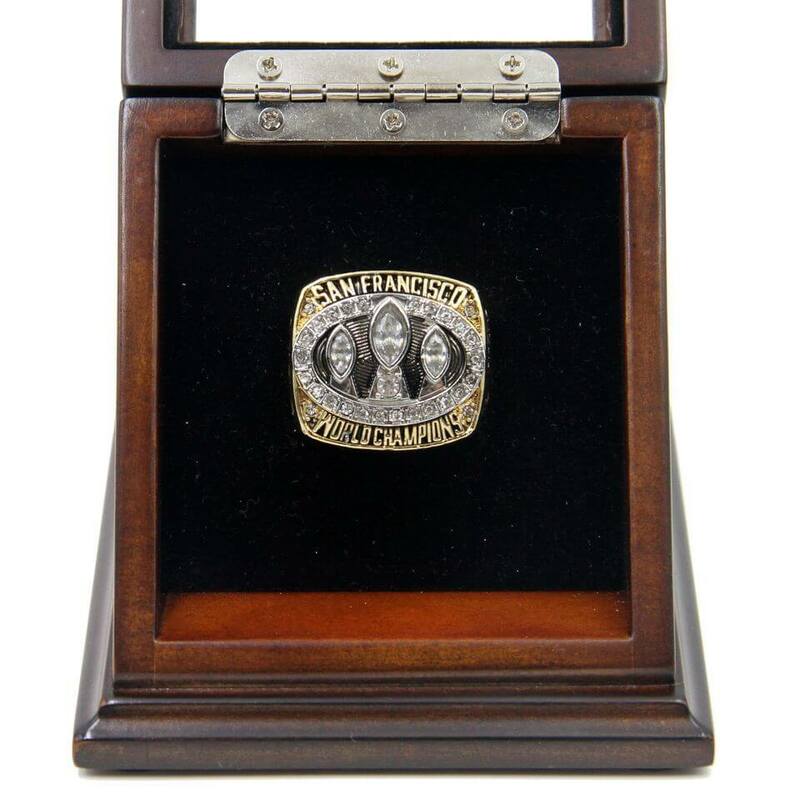 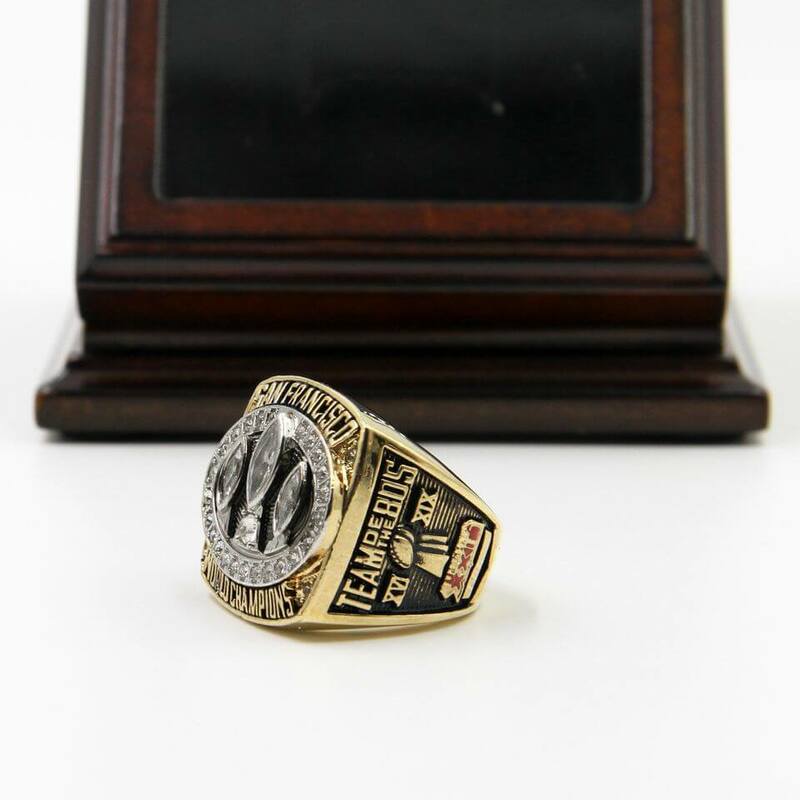 NFL 1988 Super Bowl XXIII San Francisco 49Ers Championship Replica Fan Ring with Wooden Display Case memorized on January 22, 1989 at Joe Robbie Stadium in Miami 49ers defeated the Cincinnati Bengals by 20:16 to win their three Super Bowls. 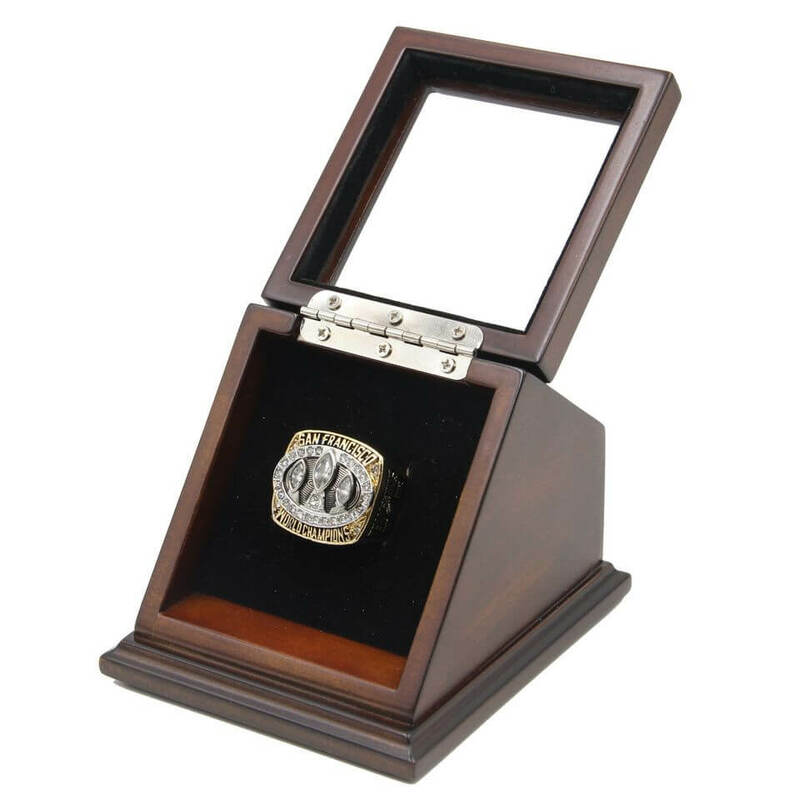 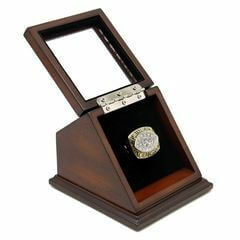 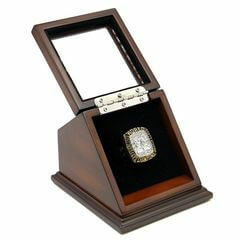 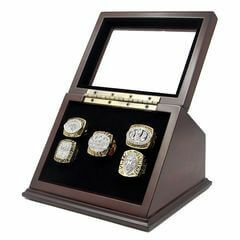 The NFL 1988 Super Bowl XXIII Championship ring is representing the honor of the team. With the beautiful wooden display case to make the ring display with pride. 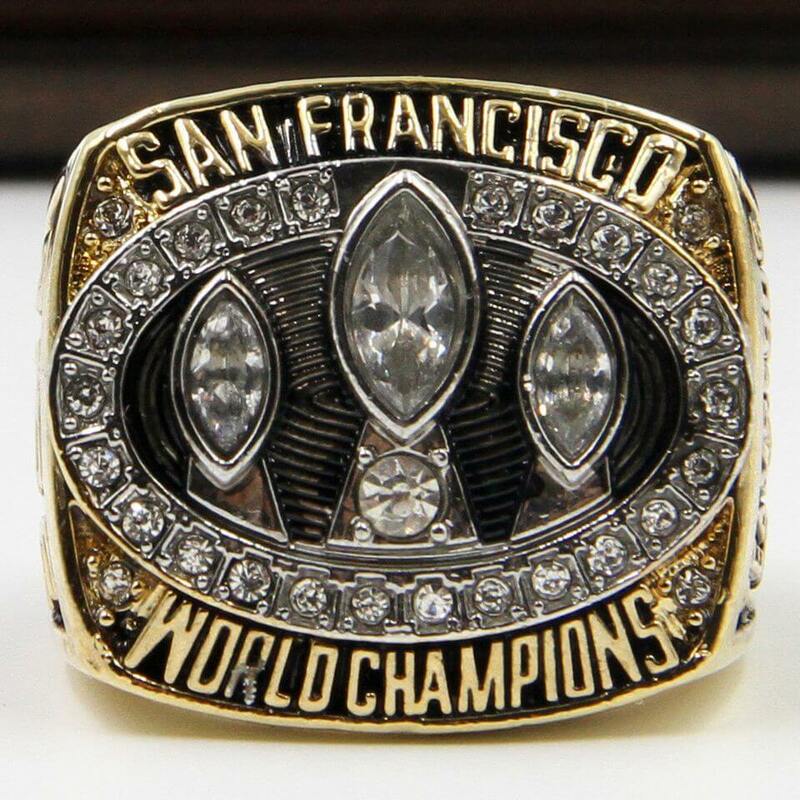 For most of the San Francisco 49Ers fans, the NFL 1989 Super Bowl XXIV San Francisco 49Ers Champions..
San Francisco 49ers are a professional football team of U.S.A established in 1946 located in the San..
NFL 1981 Super Bowl XVI San Francisco 49Ers Championship Replica Fan Ring with Wooden Display Case i..